Despite of all ifs and buts Indian equity has performed well in 2012. If we seek expert opinion than market is expected to see new high’s in 2013. Investor must see this as good earning opportunity. To help investor we are here with total 18 stocks from each nine major sectors that could outperform peers in 2013. This selection is based on their sound financials and ability to grow. 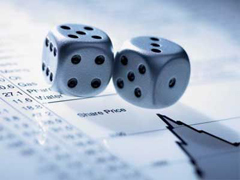 Do you think that these stocks can outperform peers in 2013? Do share your views on this.